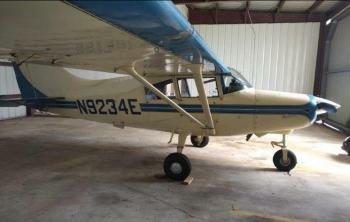 This Maule M-4-220C needs some TLC! This is a Renovation Project – Not in Annual – Fuselage Fabric needs to be replaced - NOT currently Airworthy. N 2VB - Price: $33K OBO Airframe Time: 1249 TTSNEW Engine: 200 SMOH – 220 HP Franklin 6A-350-C1 – TBO 1500 - Overhaul in 2009 Propeller - 1249 TTSNEW - Two Blade - CS Avionics: Maule VFR: King KX-125 Digital Nav / Com Narco......more. 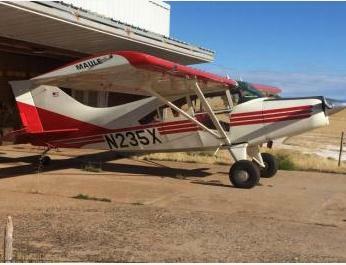 This beautiful STOL Maule MX-7 is ready for the Bush!! N 235X – Price: $89.5K Times: Airframe: 3,126 TTSN – Complete Airframe Overhaul in 2012 w/ New Cover & Paint Engine: 1238 SMOH in 2008 – Lycoming IO-540-W1A5D Propeller: 1238 SMOH in 2008 – Hartzell HC-C2YR-1BF Avionics: Garmin 250 XL King KX-155 King CDI King KT-76A PS Engineering PS Engineering PXE-7300 w/High F......more. 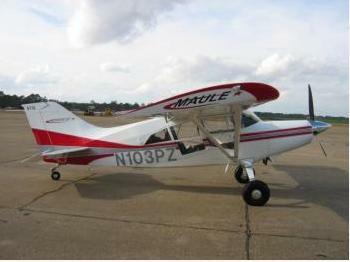 1992 Maule MXT-7-180 N9234E 1590TT; No damage history. Might consider trade for IFR Cessna 172. King Silver Crown IFR, Garmin 696, CHT/EGT Sensors, Fuel Flow Meter, Long range fuel (71 gallons), NEW Non-AD struts installed this year. Strong engine with great compressions, no leaks or squawks. Paint 5/10 and interior is 7/10. 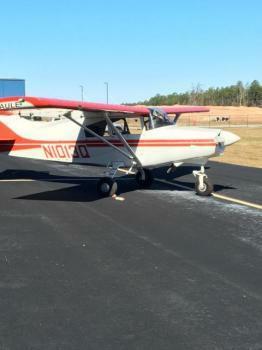 180 horsepower coupled with a constant speed prop makes this airplane a......more. Aircraft Total Time: 850 TTSN Engine Total Time: 850 TTSN Propeller - 850 TTSN Annual Due: August 2018 Avionics: Terra AT300 Encoder Terra TDF100 ADF Terra TMA350D Audio Panel w/Intercom Terra TN200D NAV w/Glideslope Terra TN200D NAV wo/Glideslope Terra TRI NAV C Indicator Terra TRI NAV Indicator Terra TRT250D Transponder Terra TX760 COM (2) Trimble 2000 Approach Century NSD 360A-......more. 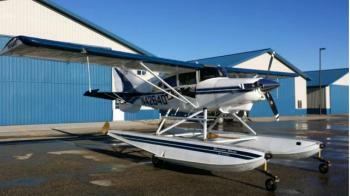 This beautiful Maule MT-7-260 is on Baumann Amphibious floats and ready for the lake…fresh water only! N 4264D - Price: $249.5K Times: Airframe Time: 1436 TT SNEW Engine: 400 SMOH – Lycoming IO-540 (Injected / OH on 2014 for ***** AD Compliance) Propeller: 400 SMOH – Hartzel Scimitar Float – Amphibious Baumann 2750’s (New in 2005 – Freshwater Only) Avionics: Garmin ......more. 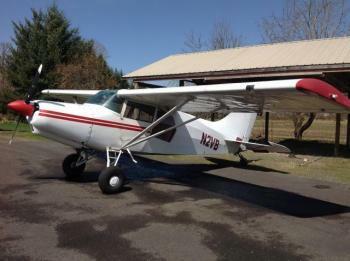 This beautiful M-7 Maule is ready for the bush!! N 103PZ- Price: $138.5K Times: Airframe Time: 1400 TTSNEW Engine: 1400 TTSNEW Propeller: 1400 SNEW – (Hartzel Scimitar - Three Blade - Constant Speed) Avionics: Maule IFR Package: PS Engineering PMA 6000 Audio Panel Garmin MX-20 GPS/Com Garmin GNS-480 GPS/Com w/WX Garmin SL-30 Garmin GI-106 Glideslope (Two) S Tec 50 – ......more.